The first ever leaked Nexus 6 images have finally arrived! Although we did see some mock ups of the device, actual (even if alleged) images of upcoming Nexus 6 have been long due. 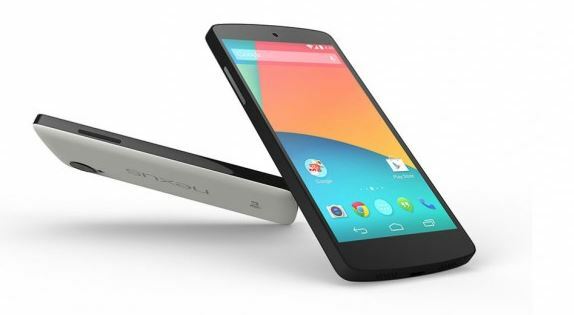 Motorola Nexus 6 is the first Nexus phablet from the company also being termed as Moto X and more popularly, Shamu. Motorola Shamu is a 5.9-inches smartphone powered by a Snapdragon 805, a 12 megapixels camera, and a large 3,200 mAh battery. 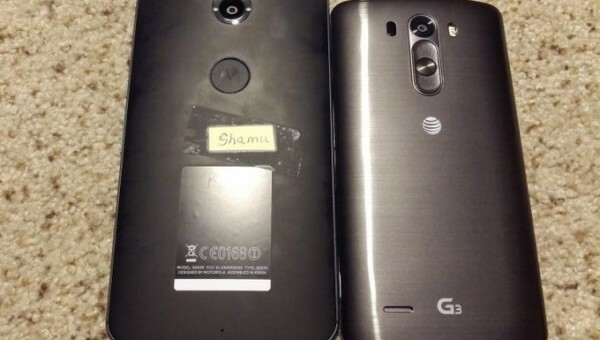 The device will be one of the few debuting Android L.
This first ever Shamu images leak comes through the internet where the image is circulating alongside the LG G3. The latter device is a 5.5-inches smartphone giving a good idea of how bigger is actually Shamu going to be. The difference, as you can see in the image below, seems to be quite big considering LG G3 sports a high body to screen ratio. If you would place some other equally large gadget, it would look probably bigger.